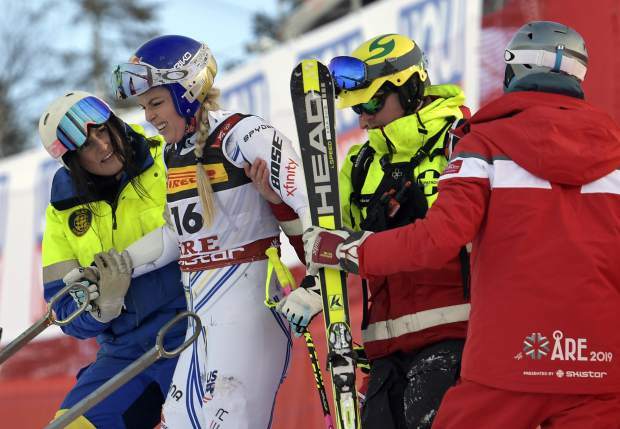 Lindsey Vonn is assisted after crashing during the women's super G at the alpine ski World Championships, in Are, Sweden on Tuesday. 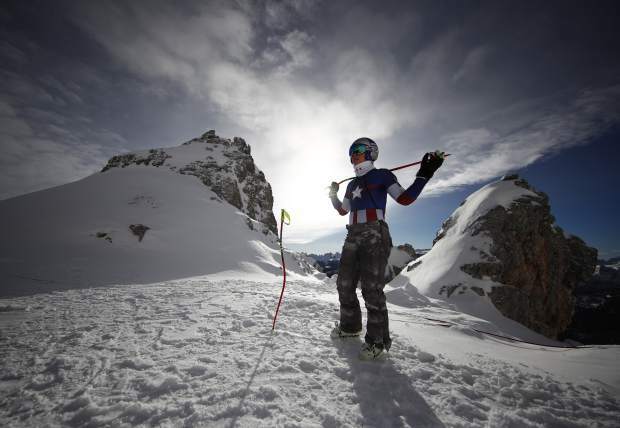 Lindsey Vonn prepares for an alpine ski women's World Cup downhill training event in Cortina D'Ampezzo, Italy earlier this year. Vonn is planning to compete in her last race on Sunday, ending a ski career in which she has made herself one of the greatest athletes of all time. Lindsey Vonn gets to the finish area during the downhill portion of the women's combined at the alpine ski World Championships in Are, Sweden on Friday. 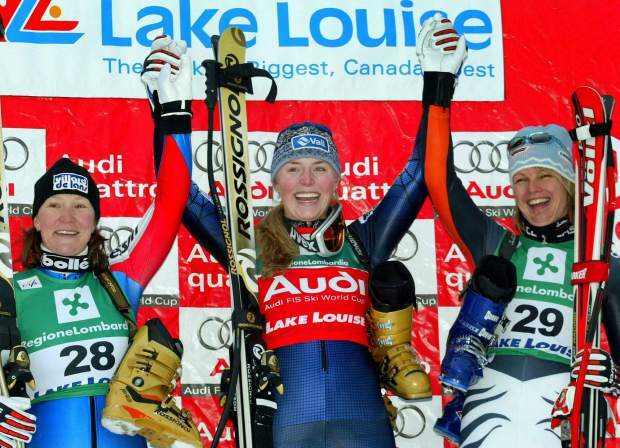 In December 2004, Lindsey Vonn, center, then going by her maiden name of Lindsey Kildow, celebrates her first win in a women's World Cup downhill in Lake Louise, Alberta, Canada. ARE, Sweden — Anyone expecting Lindsey Vonn to take it easy in her last race should think again. Doesn’t matter if she’s still banged up from a crash with a black eye, a sore rib — not to mention the pain in both of her knees that forced her to move up her retirement. As the 34-year-old Vonn performed interviews following downhill training Friday, a U.S. team member helped keep her muscles from tightening up with a cordless electrical vibration massage device. She’s still recovering from her crash in super-G on Tuesday. 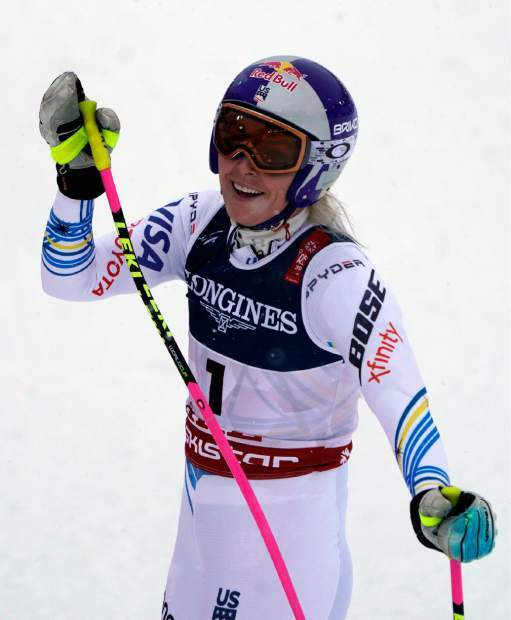 The downhill is scheduled to start at 12:30 p.m. local Swedish time and Vonn will be the third skier on course.